It's impossible not to get sucked into the world of this street artist. He creates tiny tableaus and glues them into place. Each photo set shows the sculptures from afar and close in, in a sort of punk-rock version of Where's Waldo. Christine recommends this tale of two twenty-somethings in 1938 Manhattan highly: "I'm a sucker for old NYC nostalgia anyway, but this book had me hooked. The characters are vibrant and alive, and the descriptions of NY are poetic. I loved every minute of it." 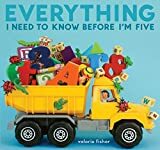 From numbers to colors to opposites and more, Fisher has created a photo-picture book that will have the young'uns learning in no time. The layout is incredibly clever and fun -- for example, the section on mixing colors uses rubber ducks (a yellow duck + a blue duck = a green duck)! Notaro, described on the jacket as "everyone's favorite idiot girl," is always a riot, and her newest is out in paperback. Plus the subtitle is "Epic Tales of Impending Shame and Infamy," and the cover has a donut on it, all of which places it squarely in our wheelhouse.